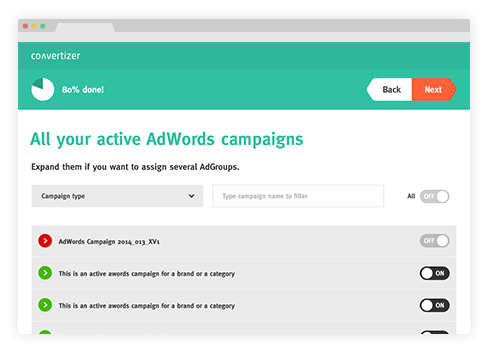 OXID eXchange | convertizer - dynamic AdWords landingpage 1.0.0 | Stable | EE, PE | 4.9.x/5.2.x - google | Module, Themes, Language Packs direkt herunterladen! Creating landingpages is extremely time consuming and super complex. Especially when you think about ensuring to have the right landingpage for any AdWords keyword you book on! 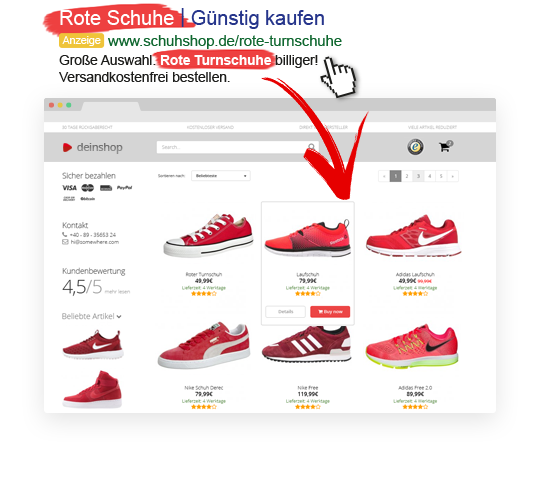 convertizer is the worlds first dynamic landingpage: Once you connected your OXID Onlineshop with convertizer by using this module, you simply choose what Google AdWords should see a high converting landingpage. 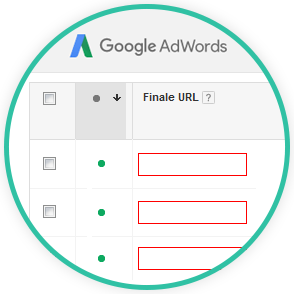 User coming from your AdWords will see automatically the best matching products to your ads. convertizer creates within minutes high converting landingpages for Google AdWords traffic. Using convertizer enables you to show visitors what they search for. 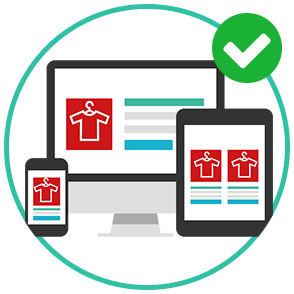 The landingpage auto aligns with your ads and dynamically shows the products matching to the keywords of your ads. WOW! The first landingpage for adwords that auto aligns with your ads and shows automatically the products your ad was promising! Creating landingpages is extremely time consuming and super complex. Especially when you think about ensuring to have the right landingpage for any AdWords keyword you book on! A convertizer landingpage auto aligns with your ads and dynamically shows the products matching to the keywords of your ads.